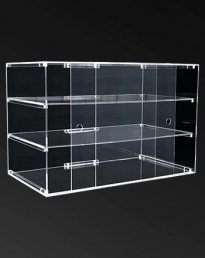 Wide variety of elegant clear acrylic displays for showcasing your products such as jewellery, watches die cast cars and models. 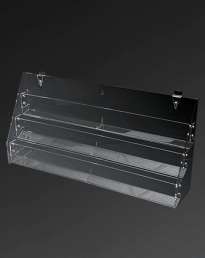 Utilize our food grade countertop pastry cases and specialized plastic stands to highlight cup cakes and other yummy bakery creations. 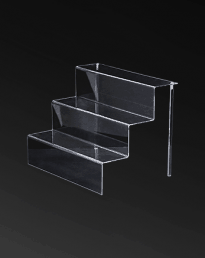 Perspex risers and tiered retail display stands are constructed from premium quality acrylic in clear and black gloss finishes. 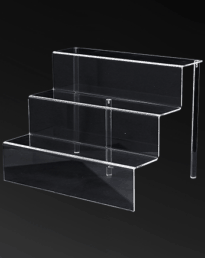 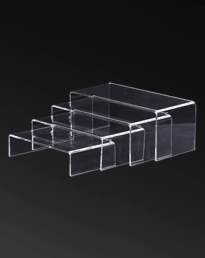 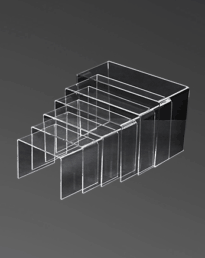 Counter top acrylic display cabinets and display stands. 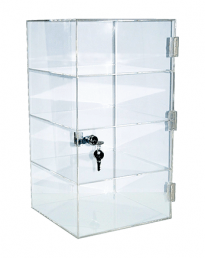 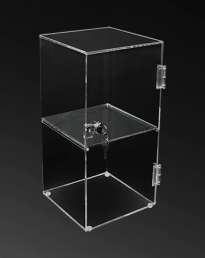 Light weight Perspex display cases with removable shelves and keyed cam lock for security, available in 3 sizes. 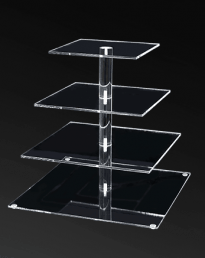 A large variety of display acrylic stands to display of your merchandise, U riser sets, acrylic stairs, ipad and smart phone holders to name a few. 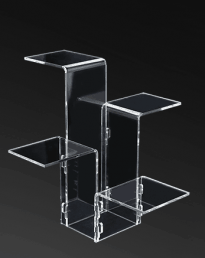 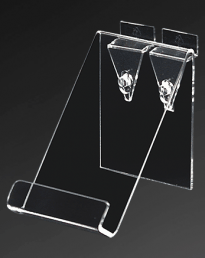 Clear polished edge acrylic display stands for retail displays. 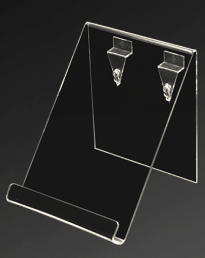 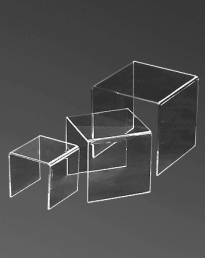 A wide choice of acrylic display stands for use in display counters, glass showcases and on for shelf displays. 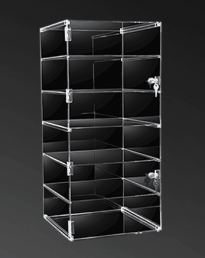 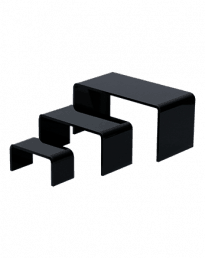 Shopfittings Direct also stocks a huge selection of acrylic displays to suit slat wall panels and slat wall stands.